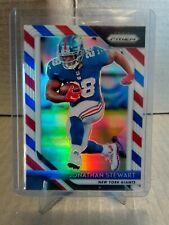 2017 Panini Prizm #100 Jonathan Stewart NM-MT . Trying to complete your set?. Let us help you! All other countries: FREE. Canada: FREE. Fabulous looking card. he is getting closer to canton every year. /99 sold for 9.99 CARD is in gradeable and or mint cond. Up for auction is a hand signed Jonathan Stewart football card. This card comes from my Personal Collection. You will receive actual card in picture This is a great hand signed card. Ships to the United States by USPS only. If you have any questions feel free to ask thank you for your interest. Year: 2017. Product: Panini Prizm. Set: Purple Scope Refractor. Any green lines or marks are from the scanner and not on the actual card. All scans are of the actual card you will recieve. Cardboard Futures. This parallel card is number 17 from the Glossy set from 2016 Panini Classics Football. Team - Carolina Panthers. Year / Season - 2016. Team: Carolina Panthers. Find More 2016 Football Cards Here! Year: 2016. You’re purchasinga Jonathan Stewart 2018 Absolute Blue Parallel card. The football card shown in the images is theexact card you will receive. 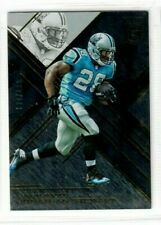 Details onthe Jonathan Stewart card can be found above and within the images. 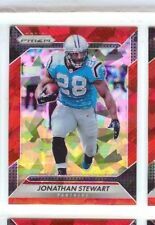 2018 Prizm JONATHAN STEWART #59 ORANGE PRIZM 097/249. YOU ARE LOOKING TO BUY A 2013 PROMINENCE FOOTBALL JONATHAN STWEART! Set: Green Prizms. Product: Panini Prizm. Year: 2015. Card Number: 52. Any green lines or marks are from the scanner and not on the actual card. All scans are of the actual card you will recieve. SKU: FT B0004 R04 T (6). Year: 2017. Set: Aspirations Red. Product: Panini Elite. SKU: FT B0001 R02 M (19). Category: Football. Serial Number: 20/72. Rookie: Yes. Hand Signed: No. This parallel card is number 94 from the Press Proof Gold set from 2017 Panini Donruss Football. Year / Season - 2017. Find More 2017 Football Cards Here! Season: 2017. Team - Carolina Panthers. Team: Carolina Panthers.